Chateau / Country House4090 sq. ft.
Charming farmhouse nearby the Luberon, Avignon the city of Popes and Isle-sur-la-Sorgue (famous for it's antiques dealers). Lovingly renovated and decorated, and providing all modern comforts and conveniences. 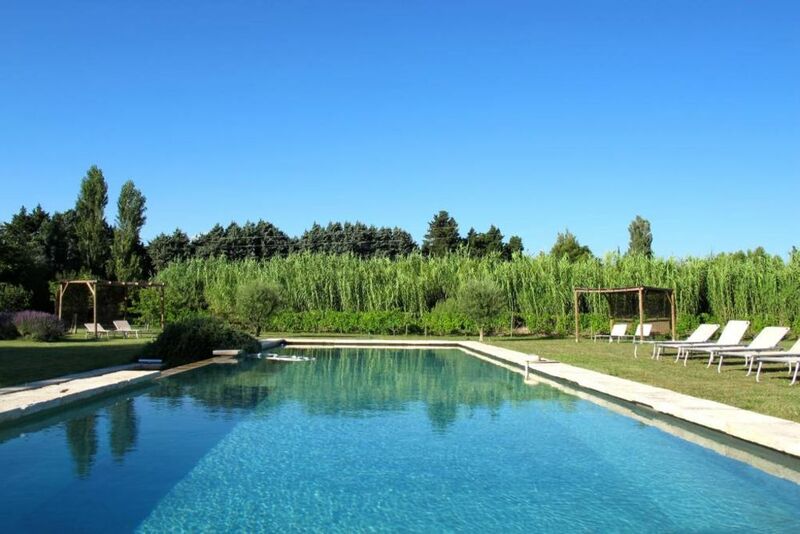 Huge property of 1,3 hectares with a large swimming pool. "très agréable séjour dans une propriété qui ressemble en tout point à la description qui en est faite. Région très agréable et propriétaires charmants." From TGV station : direction Avignon town center historic along the river the Rhône, direction historic center on the left. Then take direction Carpentras on the main road straight ahead on a few kms, take exit Vedene on the D6 (4,6km) direction St Saturnin-lès-Avignon, turn on the left direction Pernes (D28. 2,5km) on the second cross on the right direction le Thor D98 (800m) At n° 4010 on the "route de St Saturnin", you are at La Garance, Welcome! In Isle-sur-la-Sorgue : the Antiques dealers, the Campredon museum and the gastronomic restaurant called Le Vivier. In Avignon : le Palais des Papes.